Our Furnace Repair technicians service Newbury Park 24 hours a day. Call Pacific Coast when you need an honest and reliable Furnace Repair company in Newbury Park, CA. We offer 24 Hour Heating service in Newbury Park, Our repair technicians specialize in servicing all makes and models of heat pumps, wall heaters and Furnaces. We are available for 24 hour emergency Heater Repair service, offering routine tune ups to keep your furnace working as efficiently as possible throughout winter. When winter settles in Newbury Park, nights can get really cold! Our Heater Repair experts can offer reliable and cost effective heating solutions, whether you need a new central heater installed or having your heater repaired, we take pride in offering each client a customized solution. Not every central heating system is the same. Your technician can discuss with you your heating needs and recommend a new furnace that can best meet your home requirements and your budget. Most residents in Newbury Park look for ” The best furnace” to be installed in their home. Instead of focusing more on which company to use to install their new heater. 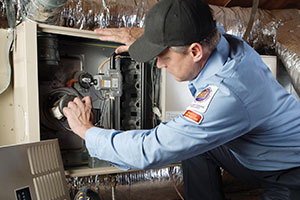 A big number of repairs needed within the first few years of a furnace installation are due to poor installation. At Pacific Coast we focus on designing our Furnace installations so that they will perform as quiet as possible and provide lasting results. We also take the necessary steps to inform our customers about the high efficiency systems that are available on the market today to meet their needs, to prevent future Furnace Repair we work with only the best brands. Our Furnace installation comfort specialists focus on energy efficiency, which means when it is time for a new Furnace we will help you find a system that uses the least amount of energy by ensuring the system is designed for your home to help lower your impact on the environment and on your utility bills. Want to know why your neighbors and friends use our company call us for a free Furnace installation quote in Newbury Park. If you suspect that your heating system may be beyond repair, consider purchasing a new unit from us. We’re happy to help you select the right one. 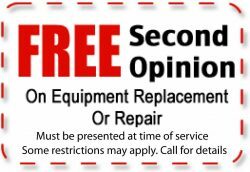 Give us a call at (805) 551-0949 to request a quote or discuss a new unit!